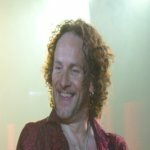 Def Leppard guitarist Vivian Campbell has told fans the band will not play any other shows in 2013. The band are currently due to play 8 shows in Europe from 21st June to 6th July followed by two US shows on 15th/17th July. Responding to two fan questions on facebook Vivian has said no further shows will be announced for 2013. It should be noted that Vivian was the band member who had told fans that the VIVA Hysteria! shows would be the only ones the band would play this year. But this does tie in with Rick Allen's recent twitter comment. Vivian has also suggested the Last In Line tour dates would be released very soon. As mentioned a few months ago they plan to play from July onwards including US warm-up dates and European/UK festivals/shows. Just wondering if there will possibly be any other U.S. stops added to that summer tour. "There will be no other shows this year, Rebecca." Think there may be some more dates?.